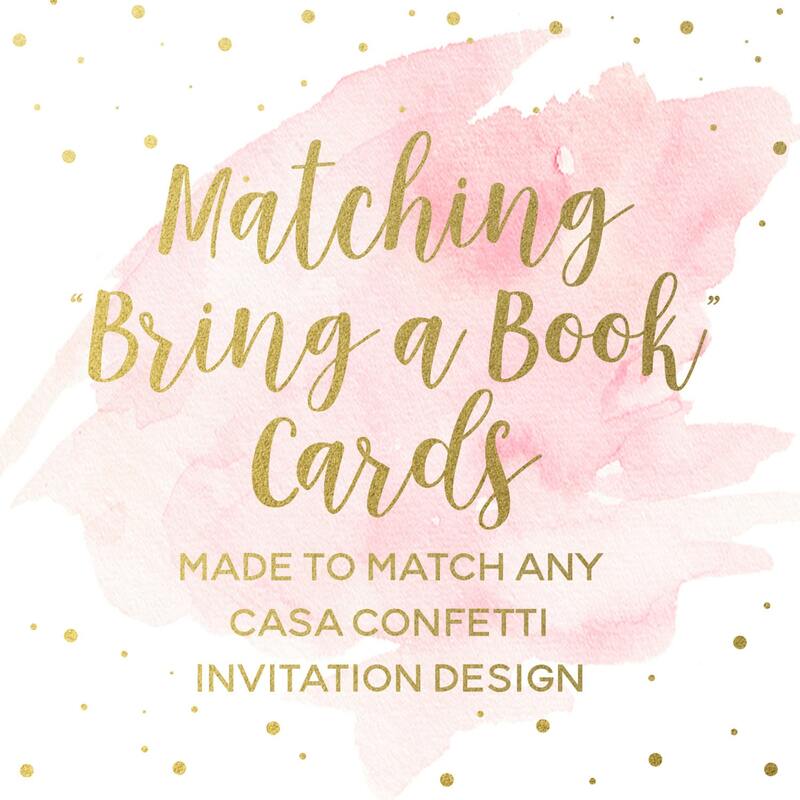 If you'd like a coordinating "Bring a Book" card to go with your design but don't see one listed, please purchase this listing and I will create it especially for you! For printable files: If you'd like it personalized with the baby's name, i.e. "Wishes for Avery," please select the personalized option in the drop-down menu (if you are ordering printed cards and would like them personalized, just let me know and I will customize free of charge). With this listing you can select either a PRINTABLE PDF file with eight (8) cards per sheet, or order as many printed book inserts as you need. Each inserts is 3.5" wide x 2" tall (business card sized). If you order the printable version, I will email you a proof, and once finalized, you will be emailed a PRINTABLE high-resolution PDF with 8 inserts per page. They are designed to print on 8.5x11 and then you can just cut. Note: Unfortunately, I am currently unable to ship printed invitations/coordinates outside of the U.S.A. But I am happy to work with you on a digital file that you can print yourself!